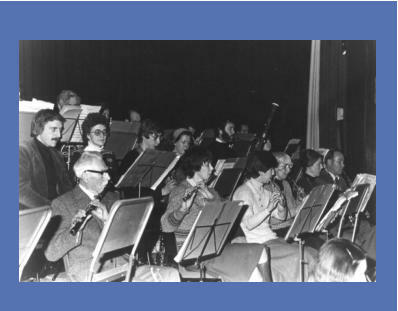 Lichfield Orchestral Society (the original name) was formed by a small group of people in 1957. It started as a small chamber orchestra of about 13 players, led by John McNaulty and conducted by Mr Hayes, then bandmaster at Whittington Barracks. Our late President, Hugh Skemp was a founder member. Since then Lichfield Sinfonia has had several different conductors: Donald Cox, David Belford, Peter Noyce, Simon Hall, Sandy Hunt and now Sara Birchall. The orchestra has grown in size and technical ability, and chamber works have been replaced by full symphonic works. The orchestra has always encouraged young musicians, both as players and soloists, and is always delighted when a local young professional can join them as soloist in a concerto. 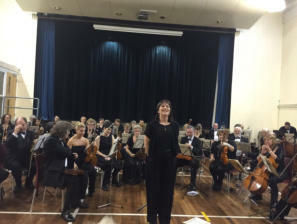 The orchestra has performed in several local venues, schools, churches and the old Civic Hall, but has made its home now in Lichfield Guildhall. Summer concerts are also performed in local churches in the surrounding villages, and these are a highlight of the year. Lichfield Sinfonia is warmly supported by its audiences, who attend concerts in all weathers.